Teaming up with the World Land Trust (WLT), the BBC Wildlife magazine camera-trap photo competition welcomed entries from around the world. The camera-trap competition celebrates ‘up to the lens’ images of some of the rarest and most impressive species in the world. The overall winning image by Mark Rayan Darmaraj shows two tigers, one staring straight down the lens of the camera, which strikingly captured the strength and beauty of this threatened species. This portrait saw Mark receive $3,000 from WLT for WWF-Malaysia’s Tiger Conservation Programme, a project focusing on alleviating human-tiger conflict and monitoring biodiversity. Two runners-up were awarded $1,000 each, courtesy of WLT, for the Udzungwa Ecological Monitoring Centre in Tanzania and the Tanzania Mammal Atlas Project. The winner of the ‘New Discoveries’ category showed Abbott’s Duiker captured in the Ilole Forest in south-eastern Tanzania. This animal, thought to number less than 1,500 in the wild, is rarely encountered and threatened by illegal hunting and habitat degredation. 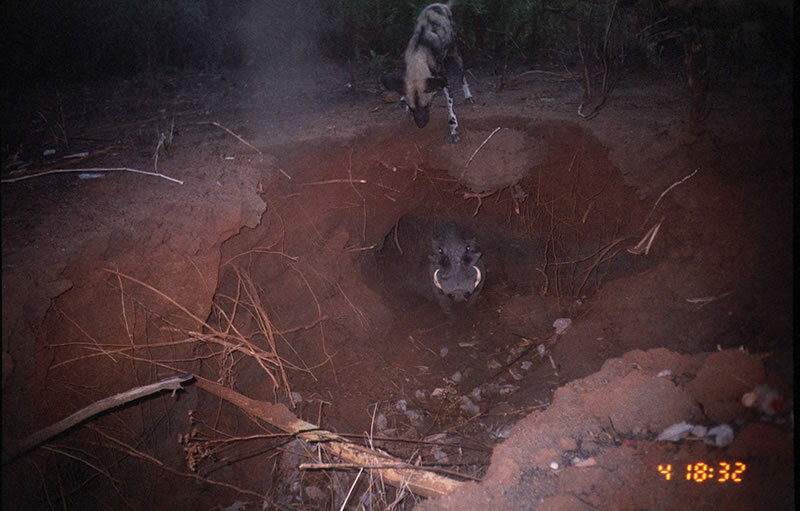 The second runner-up, and winner of the ‘Animal Behaviour’ category captured a wild dog and warthog again in Tanzania. This sighting confirms the presence of endangered wild dogs in the area. Don’t worry about the warthog as they can defend themselves very well and it is likely that this wild dog went off in search of easier prey. Other notable images included an Ocelot stalking an Armadillo in northern Peru, a jackal and Goat in Botswana and an Arabia Grey Wolf in Oman. With 700 entries flooding in from across the world, the five judges Richard Edwards, Dan Freeman, editor of BBC Wildlife Sophie Stafford, Charlie Hamilton James, and WLT council member Mark Carwardine were faced with an extremely difficult decision. WLT was delighted with the response to BBC Wildlife’s first camera-trap competition and was impressed by the extremely high calibre of shots. It was a great opportunity to team up with BBC Wildlife to highlight the importance of camera-traps and the contribution they can make to conservation. 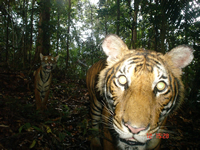 It is widely recognised that camera traps have revolutionised the way that conservationists study wildlife, gaining new and valuable insights into species’ behaviour, ranges and population density – leading to some astonishing new discoveries. 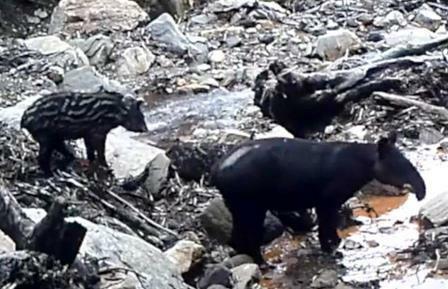 The images captured are unique in that they could rarely have been taken by a human in the same situation. Consequently they are contributing enormously to scientific knowledge which, hopefully, will lead to conservation of the species. Following on from this year’s success, the next competition will be launched in the April 2011 issue of BBC Wildlife magazine. 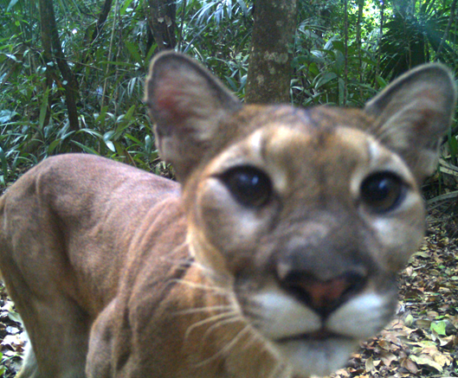 So if you take camera-trap photos in the course of your research, don’t miss your chance to win a prize for your project. You can enjoy all the winners and runners-up in their full glory in the December issue of BBC Wildlife Magazine which is on sale now. You can also view all the winning camera-trap images in the winners gallery and see some of the editors favourites in the editor’s choice gallery on the BBC wildlife website.